Qualcomm has introduced an advanced, ultra-low-power processor to support a new luxury generation of Android smartwatches. The San Diego-based wireless pioneer unveiled its Snapdragon Wear 3100 Platform in San Francisco on Monday and announced that Fossil Group, Louis Vuitton and Montblanc are the first customers. 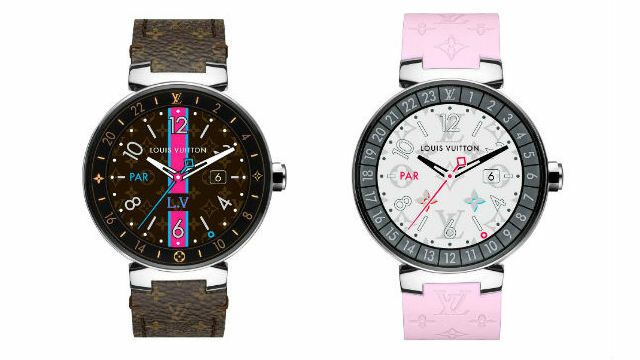 “With the Louis Vuitton Tambour Horizon smartwatch, we collaborated with Google and Qualcomm Technologies to combine our exquisite design and watchmaking know-how with the best of technology, in order to delight our customers,” said Eric Pradon, senior vice president of finance and administration at Louis Vuitton Malletier. The new Snapdragon platform includes a high-performance quad-core processor that supports new audio, display and sensor capabilities designed to appeal to luxury brands. “Qualcomm Technologies has played a critical role in the evolution of the smartwatch segment and our customers are currently shipping more than 100 Wear OS by Google smartwatches with 25 brands globally based on our existing platforms,” said Anthony Murray, senior vice president and general manager for voice, music and wearables. “With the Snapdragon Wear 3100 Platform, we envisioned a new ultra-low power system architecture and in collaboration with the latest from the Wear OS by Google team, to help deliver a rich interactive mode, bring in new personalized experiences and support extended battery life for tomorrow’s smartwatches,” Murray said. Qualcomm is working closely with Google to develop products for smartwatches, and a Google official said the company is looking forward to the emergence of the next generation of smartwatches.